John Berger married Mary Elizabeth Metz on 2/4/1865. They lived in downtown Cincinnati, but Mary wasn't happy there. She wanted to move out in the country closer to her parents, so later in 1865 John bought 8 1/2 acres out west in Green Township on Lick Run. 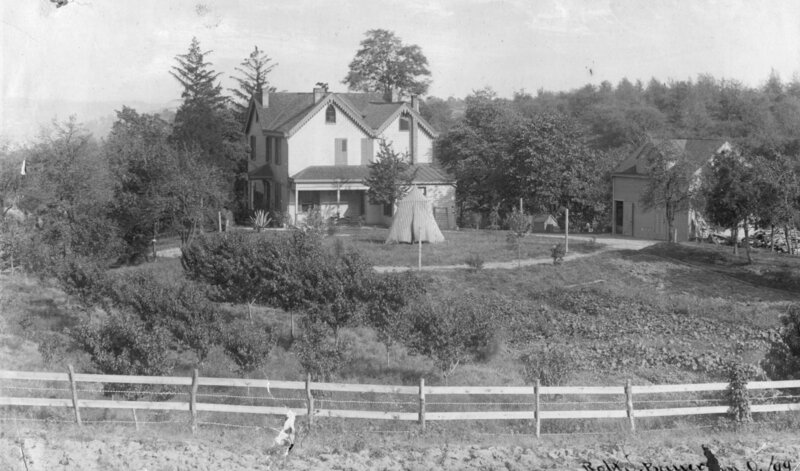 Mary's parents lived in the 2nd farm west of John's property. John's father Meinrad moved in with John, Mary and their family in 1881. About 1 year later on April 14, 1882 Meinrad died. 'Nauni' Maria Anna Bruegger (John's oldest half sister) was a resident on Berger Hill for many years. I suspect she moved in with John and Mary when Meinrad moved to the Hill. 'Nauni' lived with the family until she died in 1900. On July 13,1894 John died when only 56 years old. Fred Berger has recorded more history of Berger Hill, including very current history in the excerpts taken from his book 'Stories from the Berger History'. For information about 'a 1865 penny found by Fred Berger' see the link to "Fred's 'Stories'p.48". For information about 'a Berger Hill in the 1800s' see the link to "Fred's 'Stories'p.50". For information about 'the pool and tennis court' see the link to "Fred's 'Stories'p.57". For information about 'Mary' see the link to "Fred's 'Stories'p.62". For information about 'the lodge' see the link to "Fred's 'Stories'p.66". For information about 'a squabble on the Hill' see the link to "Fred's 'Stories'p.70". For information about 'Aunt Anna and Aunt Teresa' see the link to "Fred's 'Stories'p.71". For information about 'spending two weeks on the Hill' see the link to "Fred's 'Stories'p.73a". For information about 'Fred and Gail's temporary stay' see the link to "Fred's 'Stories'p.73b". For information about 'the new carriage house' see the link to "Fred's 'Stories'p.77". For information about 'the effect of TV and air conditioning' see the link to "Fred's 'Stories'p.78". For information about 'a new generation' see the link to "Fred's 'Stories'p.79". See also the links to Berger Hill Memories to the left.